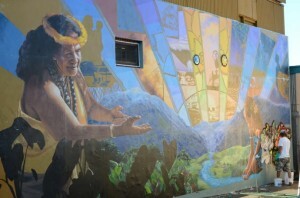 Wailuku mural. Photo by Ashley Takitani. 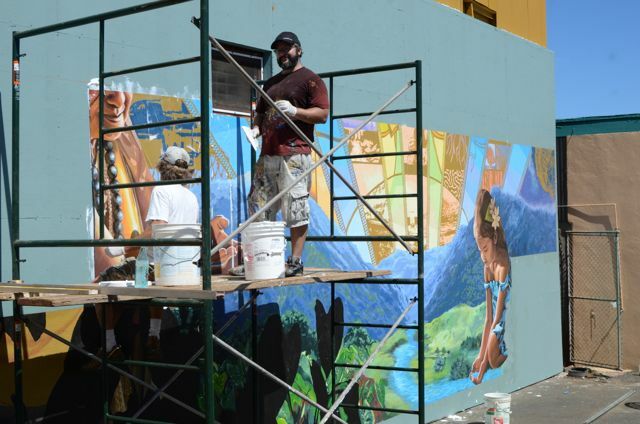 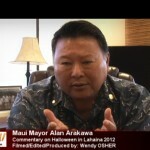 A section of Wailuku Town got a facelift on Thursday with the installation of a new mural at the corner of Main and Market Street. 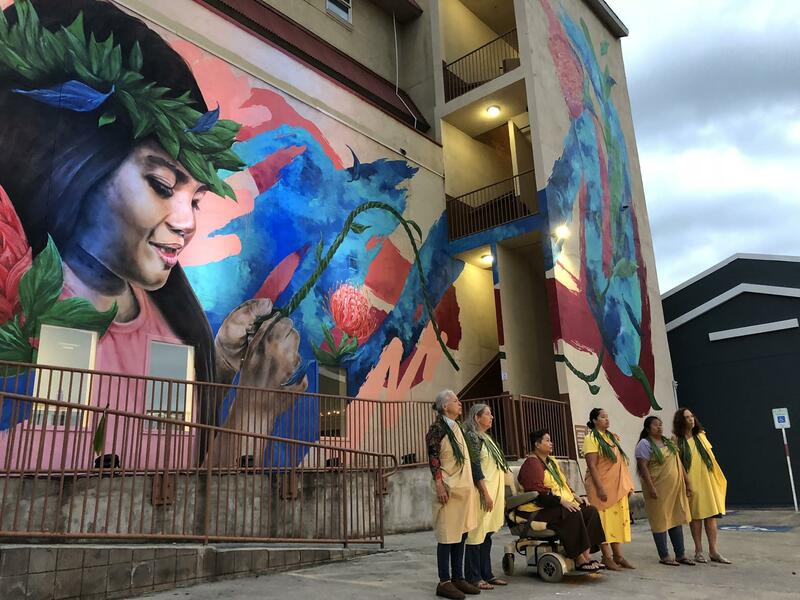 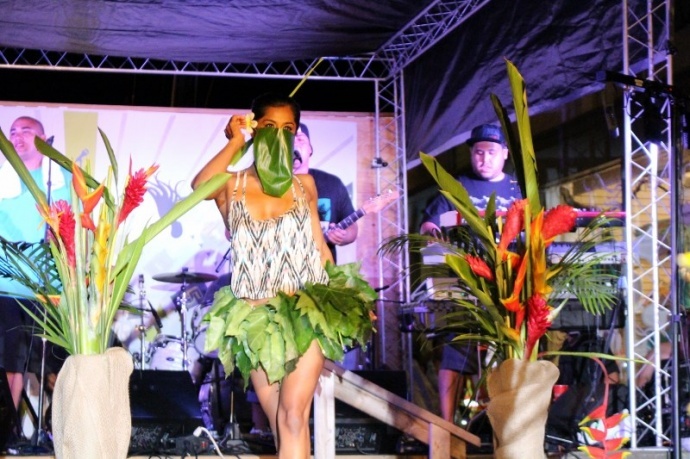 Thanks to the Hui No‘eau’s Maui Mural Project, artist, Eric Okdeh joined members of the Maui community in carrying out his artistic vision. 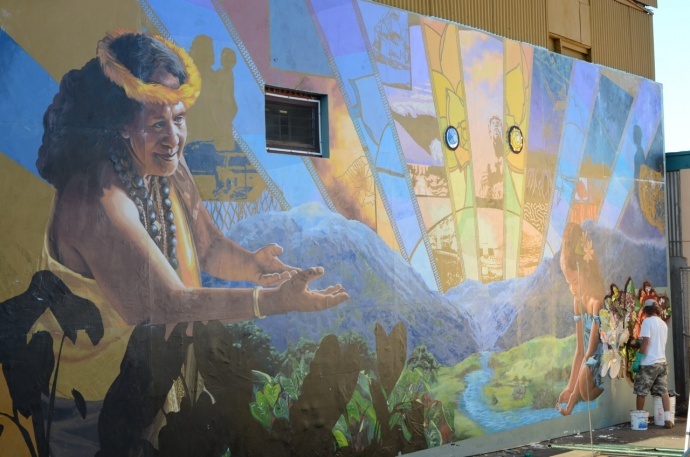 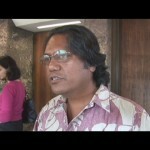 The mural features hula, kalo fields, and water running through the center of the image. 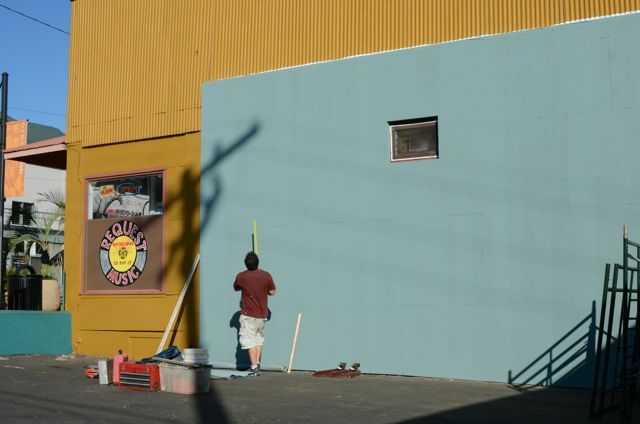 Ashley Takitani, from the Maui Thing retail shop across the street noted that the mural was painted beforehand, and that the crew was able to put all of it up in a single day, with touch-ups planned for today. 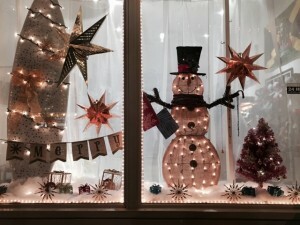 “It’s really quite amazing,” she said.